Edinburg school district officials announced a delay in the start of summer classes for Thursday as the Valley expects more rain. The district will begin summer school programs at 9:30 a.m. and buses will being student pickups at 8 a.m.
District staff is scheduled to report to work at 9 a.m., but some might be asked to arrive earlier if needed. 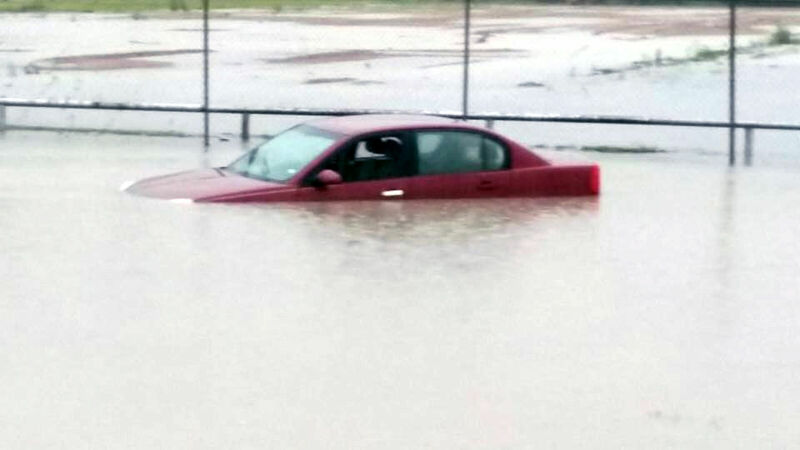 Flooding in the Mid-Valley area Wednesday, June 20, 2018. “Campus and District administration will make any any necessary arrangements with designated staff to arrive earlier than 9 A.M. if necessary,” states a notification sent by Superintendent Rene Gutierrez Wednesday evening. University of Texas Rio Grande Valley officials announced additional class cancellations for Wednesday evening starting at 6 p.m. due to expected rain. The last shuttle buses will depart at 6:15 p.m. from the Edinburg and Brownsville campuses this evening, according to the announcement, and officials will continue monitoring the situation to provide notification of possible scheduled changes for the upcoming days. The university is using its emergency alert system to notify students, faculty and staff, which is also linked to its social media pages ㅡ Facebook and Twitter ㅡ to alert the general public. The Hidalgo County Courthouse will not open today as a result of the rain and flooding issues. Precinct 1 and Precinct 2 administrative offices are also closed for the day. The Office of Emergency Management, Precinct and County staff continue to monitor the situation, according to a county email. Boat rescues are being conducted in the worst hit areas, which are primarily in Weslaco, Progreso and Mercedes. Residents in need shelter or assistance may call the Hidalgo County hotline at (956) 292-7750. Inclement weather and flooding in some areas have prompted area colleges, universities and school districts to cancel and postpone classes Wednesday. South Texas College will close it’s Mid-Valley Campus in Weslaco, Technology Campus in Mcallen, and Higher Education Center in Pharr to all students, faculty and staff for the day. The University of Texas Rio Grande Valley has also cancelled all classes that take place before 1 p.m. today for all of its campuses. 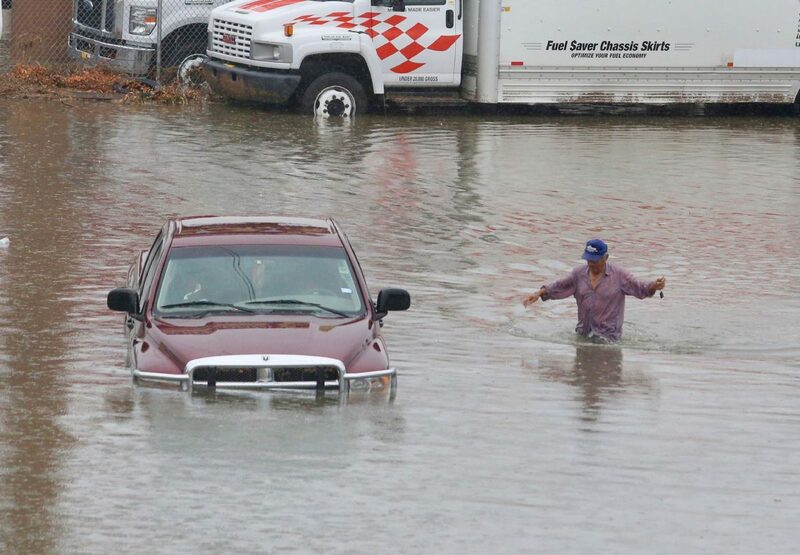 “Should you find yourself in a high water situation while driving turn around and find an alternate route,” states a text notification sent to UTRGV students and staff early Wednesday. Some local school districts are also cancelling summer activities and classes. So far, South Texas school district announced it’s cancelling all student activities for the day districtwide. Earlier today, Pharr-San Juan- Alamo school district also announced its cancellation of summer school and all other activities. So far these are the only institutions reporting closures Wednesday, but this post will be updated if more information arrives. The offices or Starr County Pct. 2, 3, 4 have announced on Facebook that they will be provide sandbags to residents. Pct. 2 residents can pick them up by Mi Ranchito St. in Roma, Pct. 3 residents can collect them from El Cenizo Park next to the precinct office, while Pct. 4 residents are advised to call (956) 487-2922 for more information. The county is also reporting the closure of El Sauz Rd. in Rio Grande City due to torrential rain. They are also advising residents to avoid Las Lomas area. The Hidalgo County Precinct 2 administrative office in Pharr will be closed for the remainder of the day due to flooding in the area. The courthouse in Edinburg and Precinct 1 administrative offices in Weslaco are closed until at least noon. The county will continue to assess the situation and will post any necessary updates with regards to the courthouse and Precinct 1, according to an email. 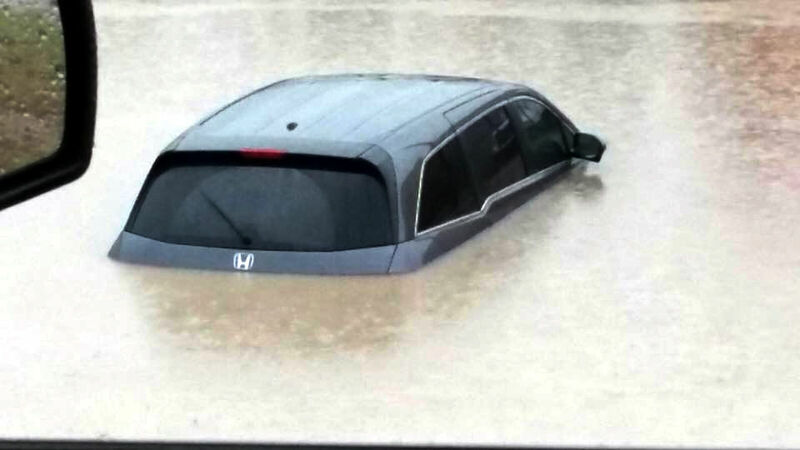 This morning’s rain event has left parts of the Mid-Valley area flooded in several feet of rainwater, prompting residents in Weslaco to request rescue efforts from the local emergency agencies. Such is the demand for help that residents are taking to social media to request assistance due to the 911 operators being overwhelmed with calls, according to Weslaco police. Pete Garcia Jr., the utilities director for the city of Weslaco, is saying that the flooding in the city is worse than it was in 2015. Garcia said some of the city’s employees can’t make it to work. There are residential neighborhoods and businesses down Texas Boulevard in Weslaco that are under several feet of water, with the utilities director saying that even the city’s vehicles cannot access these roads. “The plan is, as soon as we can, set up some 12-inch pumps on the floodway between Weslaco and Mercedes as soon as we can get there,” Garcia said. The National Weather Service in Brownsville has issued a flash flood emergency for Cameron and Hidalgo counties and it remains in effect until Thursday morning. In rare situations, the NWS will issue a flash flood emergency when there is a threat to human life and catastrophic damage due to flooding. Valley Technical Academy in Mission will begin classes at 10:30 a.m. to give students time to get to class. Severe weather and flash flood warnings have caused delays throughout the region. For more information, call (956) 335 3500 or valleytechnicalacademy.com. South Texas ISD has cancelled all student activities for the day because of the weather. South Texas College’s mid-Valley campus in Weslaco will also close for the day. The Hidalgo County Courthouse will tentatively open at 10 a.m. today due to heavy rain and winds. 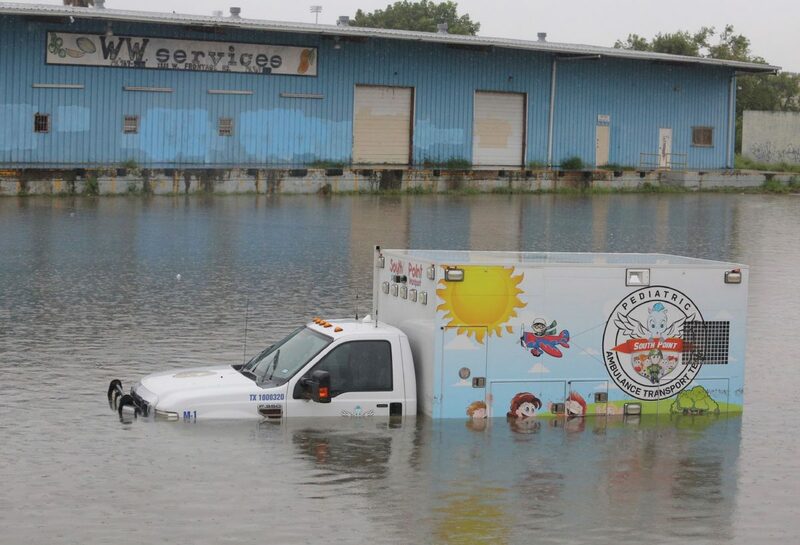 The Precinct 1 administration offices in Weslaco will also tentatively open at 10 a.m. today because of flooded roads in the area. Hidalgo County is advising employees to exercise extreme caution in their areas. The county will continue to assess the situation and will post any necessary updates with regards to the courthouse and Precinct 1 at 9:30 a.m., according to an email. Earlier Wednesday morning, Hidalgo County tweeted that many streets around the courthouse were closed because of flooding.